In a late post-session victory, it appears that the 113th Congress passed just enough late term legislation to ward off the title of laziest -- excuse me, "least productive" -- Congress of all time. The 112th Congress can keep that trophy. 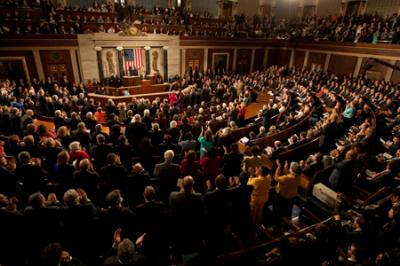 According to a report released by the Pew Research Center, the 113th Congress entered its post-election lame duck session poised to take the title from the previous Congress. But with campaigning out of the way and a last ditch attempt to forge an optimistic view toward the 114th Republican led Congress, leadership in both the House and Senate pushed through 111 pieces. That's nearly 38 percent of all of the laws passed by this Congress since 2013. Surprisingly, the manic pace with which Congress raced toward it's finish didn't diminish the substance of its legislation, at least in comparison with its congressional record. Nearly 34 percent of all the lame duck legislation was substantive, according to the Pew Research Center, making it one of the most substantive lame duck sessions of the recent past. Pew categorizes legislation as either substantive - bills like defense spending and the funding the federal government - or ceremonial - which includes naming post offices and awarding a congressional gold medal to Jack Nicklaus. Hopefully, the momentum created in the lame duck session carries into the 114th Congress, when it is called to order next week. With an executive-congressional showdown on the horizon, let's just hope the majority of the 114th Congress's ceremonial acts are simply doing the substantive business of government.